The IRS loves it when you turn 70, but you won’t get a gift or even a card. The Internal Revenue Service can’t wait to get their hands on your hard earned dollars. This might be why the IRS is sometimes referred to as the Infernal Revenue Service. Happy birthday and get ready to pay more taxes thanks to three little letters, RMD. Required Minimum Distributions or RMDs are amounts that must be taken out of a retirement account each year so the IRS can tax the distribution. You’ve worked hard and socked away funds in a 401(k) or IRA to be used in retirement. By doing so you’ve deferred taxes on the investment earnings and received a reduction in your taxable income by amounts you contributed each year. You’ve watched the retirement funds grow over the long term but now that you’re 70, the IRS says it’s time to pay up. The rules pertaining to RMDs can be complex. 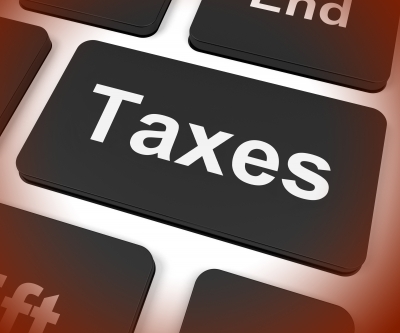 For more detailed information you should visit the IRS website or contact a tax professional. As with anything pertaining to taxes and the IRS, it’s never simple. Based on my memory, counting your age using half years usually ends by age 8. Apparently, the IRS wants to go retro and bring it back when you turn 70. As a result, you’re required to begin taking RMDs the year you turn age 70 1/2. As an example, let’s say you turn age 70 in September of 2018. You won’t be 70 1/2 until March of 2019. Therefore, 2019 is the first year you’ll need to take the RMD. To make it even more complicated, the IRS gives you until April 1 of the following year to take your first distribution but requires it be done by December 31 in subsequent years. Again, it’s never easy. If you elect to wait and take your first required minimum distribution by April 1 of the following year, you might end up paying more in tax. Everyone’s situation is different, but you don’t want to go from the frying pan into the fire. By deferring your first RMD into the next year, you essentially end up taking two distributions in the same tax year. You will need to plan carefully to ensure that you don’t inadvertently increase your income and negatively impact your taxes. In general, you need to withdraw an amount based on your life expectancy and retirement account balance as of the prior year. For example, assuming you will take an RMD for 2017, the amount is based on your retirement account balance as of December 31, 2016. That is fairly straight forward but again, it’s never easy. You will need to determine what life expectancy table to use depending on your situation. The good news is that your investment custodian will usually assist with these calculations, but it is ultimately the responsibility of the account owner to make the determination. The following link can help calculate RMDs. The main take away here is that the RMD will likely increase each year and that translates to increased taxes. The amount of your required minimum distribution also depends on whether your IRA funds were inherited. This can get a little murky but you need to be aware it is very common to inherit an IRA. The age difference between you and a deceased spouse or whether you are a non-spouse beneficiary impact the amount of your RMD. The IRS doesn’t have a warm and fuzzy relationship with tax payers so as you can imagine, penalties for failing to take RMDs are stiff. If you fail to take the RMD by the applicable deadline a 50% penalty can be applied. As an example, if your RMD for the year was $3,000 and you failed to make the withdrawal, you would owe the IRS $1,500! If you failed to take an RMD or didn’t take the right amount, you will need to file a special tax form. In certain circumstances, the penalty can be waived, but I would never count on that. If you haven’t taken your RMD, don’t assume the IRS won’t find out. If you have neglected this for several years, consult a tax professional for advice on how best to address the situation. It is very common to have multiple retirement accounts. Over a working career, it is possible to end up with 401(k), IRA, 403(b), and others. Let’s assume someone has two IRAs. You will need to calculate the RMD for each IRA but you can take the total amount from just one IRA. The same is true for 403(b) plans. However it’s not the case with 401(k) plans. If you have two 401(k) plans, you will need to take the RMD from each 401(k). This is another reason combining redundant accounts together can help streamline and simplify retirement and tax planning. Roth IRAs are NOT subject to RMDs while the account owner is alive. This is yet another reason Roth IRAs can be a powerful retirement planning tool. Because Roth IRA contributions are made with after tax dollars, there is no tax deduction taken by the tax payer in the year the contribution is made. The earnings and growth of the investment are tax free so long as some basic rules are followed. Because of this, retirement income can be received tax free and funds can remain invested long after age 70! The rules regarding Required Minimum Distributions are complex and in certain circumstances are applicable to people under age 70 1/2. Be sure to consult your financial advisor or tax professional for details on your particular situation. Start planning ahead because the IRS is looking to throw a big party for your 70th birthday! UPDATE: While you’re looking into Required Minimum Distributions, don’t forget about Social Security. One way to get informed is by reading this article called Social Security Spousal Benefits: What You Need To Know from my friend and fellow financial advisor Devin Carroll. Devin is an expert in Social Security who writes and speaks about this subject extensively.